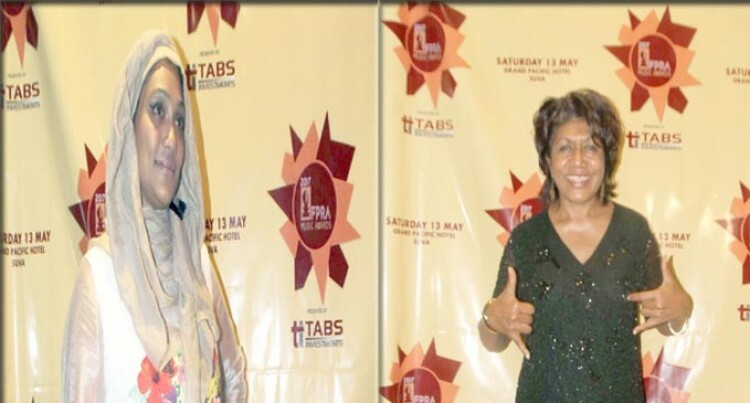 The sponsor of the premier award for the Fiji Performing Rights Association Music Awards (FPRAMA) Night was highlighted by association chairman, Eremasi Tamanisau, at the announcement of the nominees on Thursday night. Mr Tamanisau thanked all the sponsors including Tabs Investments who have been the greatest supporter of the event for the past few years. The announcement saw all the big names in the current local music industry being recommended for the top awards at the Damodar CineLounge in Laucala Bay, Suva. The premier award, the Best Composition; will be contested this year by the three nominations in the top bracket. The best compositions are Senikakala composed by Tuverea Tuamoto and performed by Nasio Domoni; Rosi ni Waisiliva which was created by Jiosevata Vetaukula and performed by the group Malumu ni Toba kei Navaukura; and I’m from the West Coast composed by Isikeli Savu, Nicky Bautavu and Steven Vereakula and staged by Team Stay Focused. Ten categories are up for grabs including the Best Composition, the Best New Artist and the Artist of the Year. Damodar Group chief executive, Div Damodar congratulated the nominees and the music industry. “We are a great music industry and it’s a great opportunity for youths to also prosper in music and we see a lot of great artist coming up in the future,” said Mr Damodar. Local artist like Nemani and Talei, Honey Hasan, Suliasi Uluilakeba, Wilo, DRIXSTAR and bands like Kula kei Uluivuya (KKU), Leba Boi Yawa E Lomai Nasau, Team Stay Focused (TSF) amongst others are all in the running for this year’s 2017 FPRA Music Awards. The judges for the event who were announced are Bex Nabouta (Sassy), Maikeli Radua, Apenisa Rakanace, Roneel Narayan, Akuila Qumi, and Natera Cati. The 2017 FPRA Music Awards is scheduled for May 13 at the Grand Pacific Hotel, Suva.